Arrow tattoo designs are super cute and can be done in so many ways! They could look sweet, cute, tough, or strong. 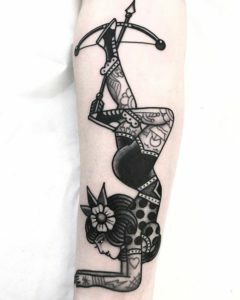 And, there are so many detailed designs to counter the simpler bow and arrow designs that so many people rock. 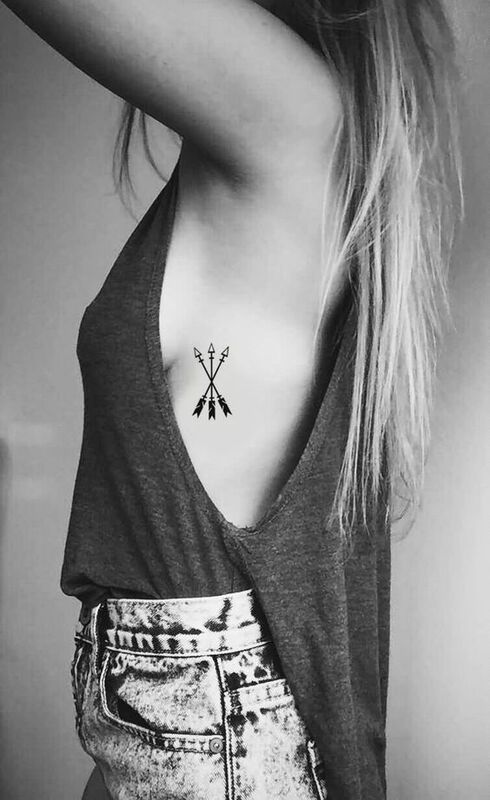 So, really, there is an arrow tattoo design that could match anyone’s personality. 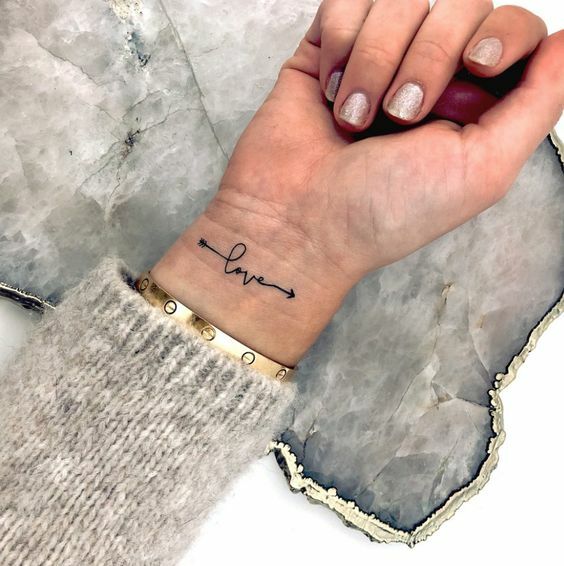 If you are looking for one that is perfect for you, check out this compilation that will have you swooning over the lot of them! This warrior arrow idea is perfect for the free-spirited strong girl who constantly encourages herself. With this tattooed on your arm, you will never forget that you can make it through anything; alone and independently. 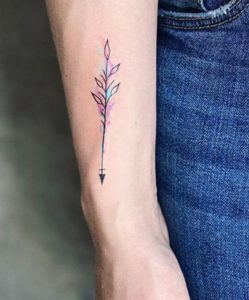 This flowered arrow tattoo is perfect for the girly-girl who still knows how to be tough. 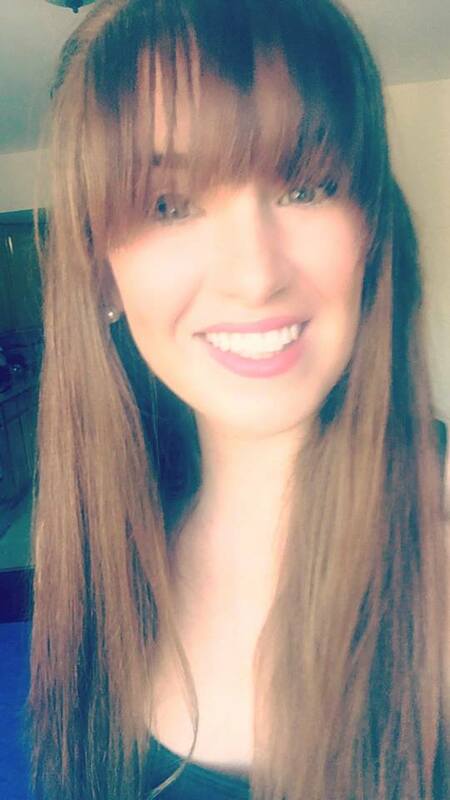 She may seem pretty and cute on the outside, but on the inside she is one that you don’t want to mess with. 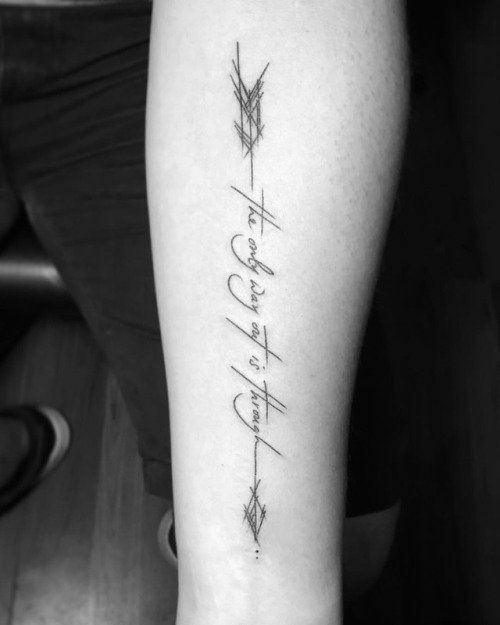 This tattoo is perfect for the person who lets their faith lead them through life. 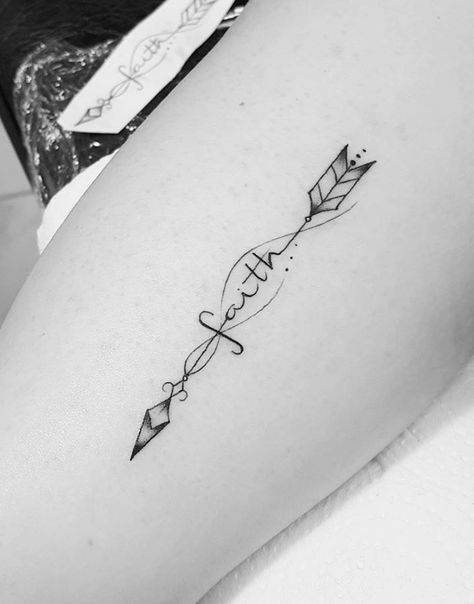 No matter what direction they are going, faith is always guiding them. 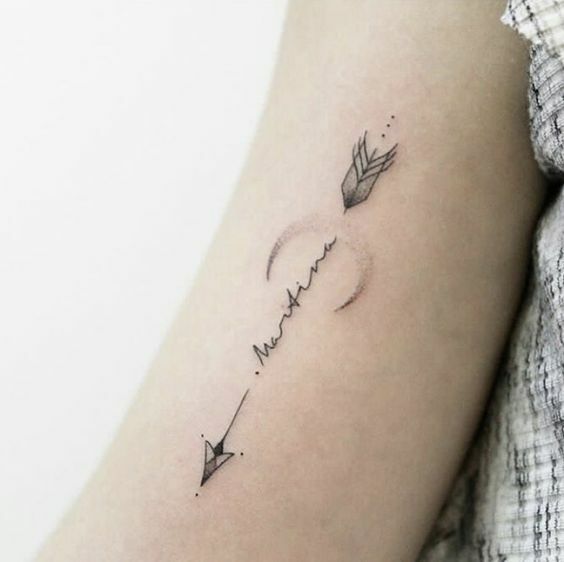 This simple arrow tattoo is a delicate way to show your strength. It shows that you are not only strong, but that you have direction and a plan. You will never get lost. The semi-colon is being thrown into so many tattoo designs as of late, and for good reason! 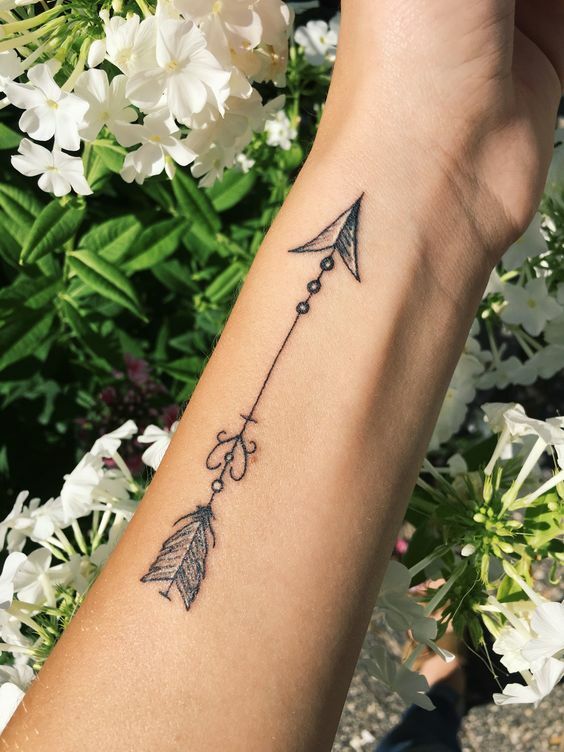 It represents that you are always continuing and that your journey is never finished. What a great commemoration to your life! This dainty feathery arrow tattoo combine girlish gleam and nature in the most perfect design. It takes the toughness of an arrow and hides between girlish charm to show just how strong us girls can be! No matter what direction you go, you should always follow love. Let love guide you through your life and you will never be disappointed. They say to receive love you must spread it, so travel far and wide with all your love and let others feel it. 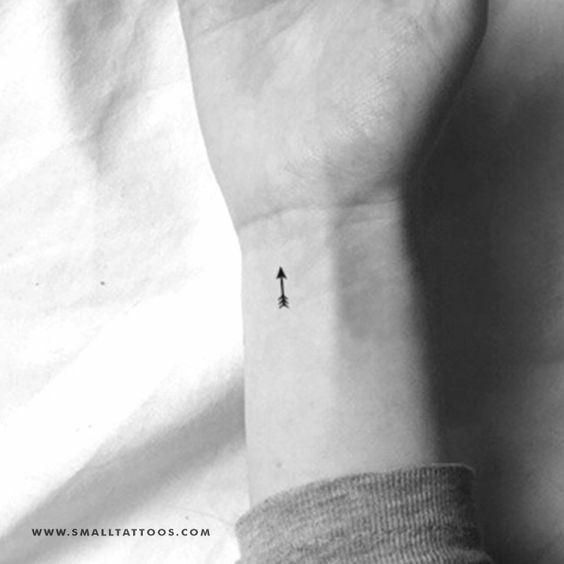 Sometimes it is the small details that matter and this arrow certainly solidifies that case. The feathered end of the arrow and the delicate heart make for a girlish look that will have heads turning in the best way possible. The only way out is through. You can’t skip over bad parts of your life, you must fight through them even when it seems that you won’t even last the fight. You can get through anything if you only believe in yourself. This infinity arrow is so adorable and could fit anywhere on your body that you want! 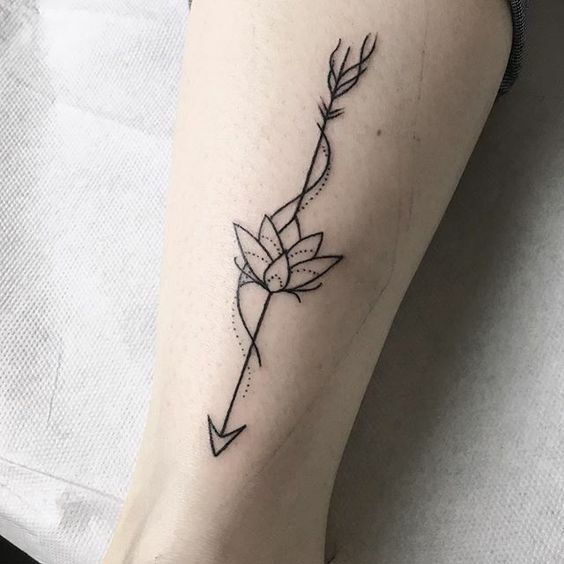 It represents how you must always keep going. And, that even if you change directions, you will end up in the place you are supposed to be. 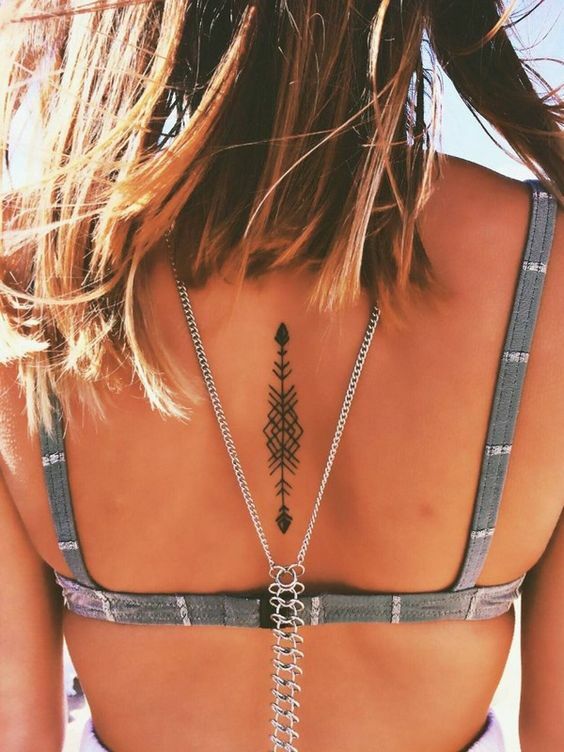 This broken arrow tattoo has such a beautiful geometric design. 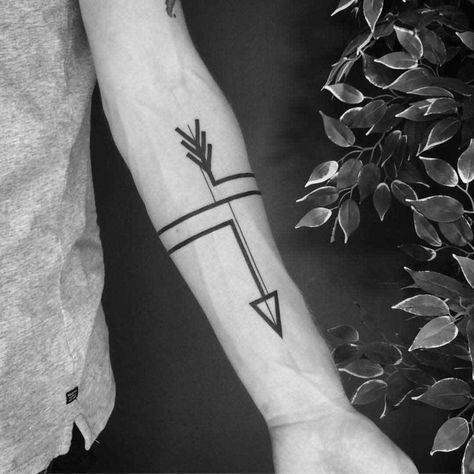 It is a unique arrow with corners rather than straight lines that will have people wondering what inspired it. 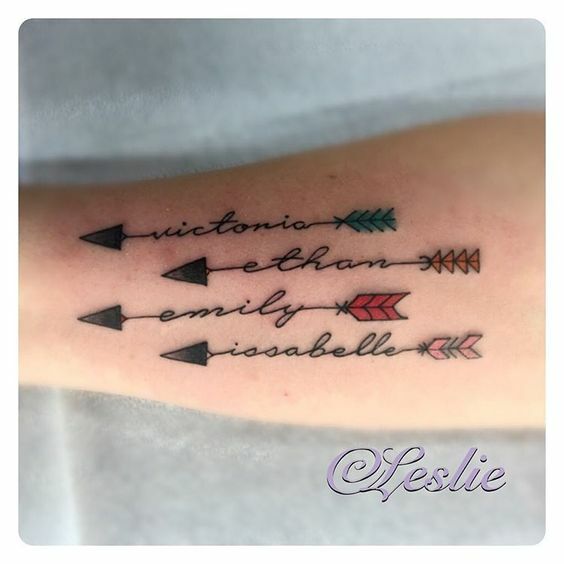 This arrow tattoo with names written on the arrow stems is a beautiful tribute to your family. 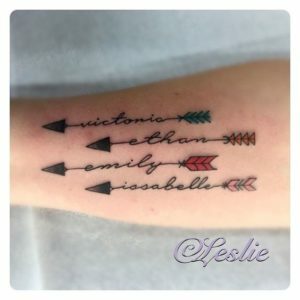 You could write your sibling’s names or your children’s names as a constant reminder of who guides you and inspires your choices in life. 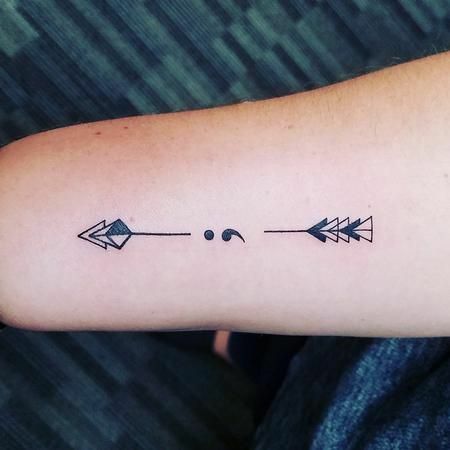 This triple arrow is not only cute, but it’s also meaningful. Sometimes, in life we don’t know which direction to chose, and it can be stressful. But, it’s also a blessing to know that we have a choice and that we are in control of our destiny. 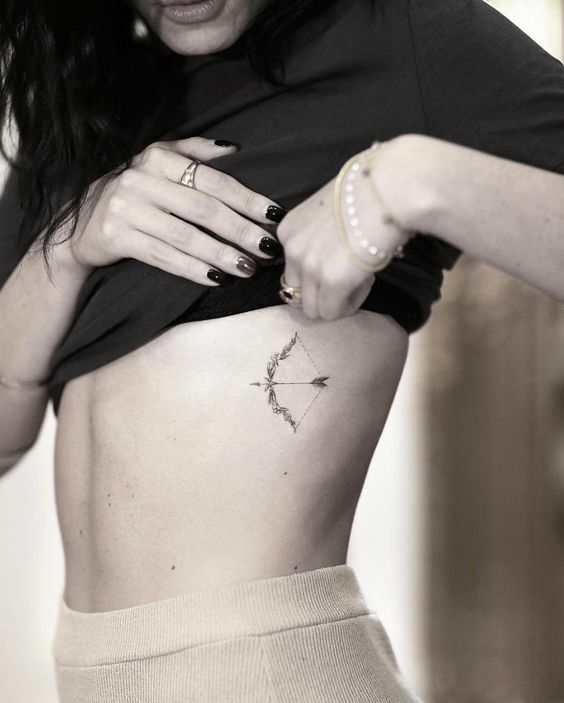 This lunar arrow is a great way for the moon-lover to show her strength. 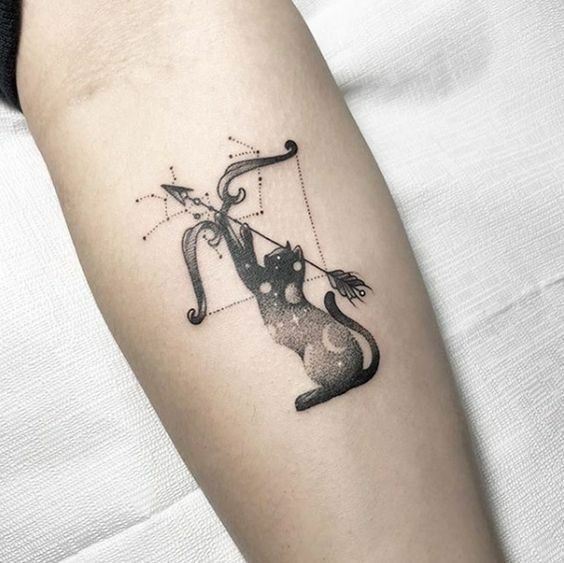 If the moon constantly guides your decisions and your mood, this may be the perfect tattoo for you. 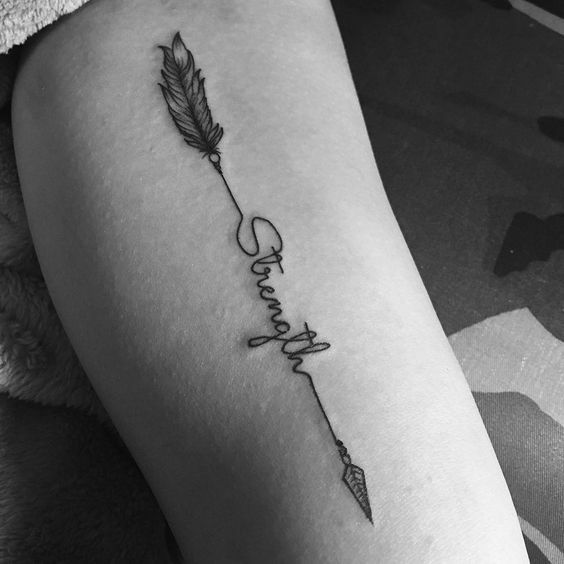 Some of us need a constant reminder that we are strong and can make it through anything. 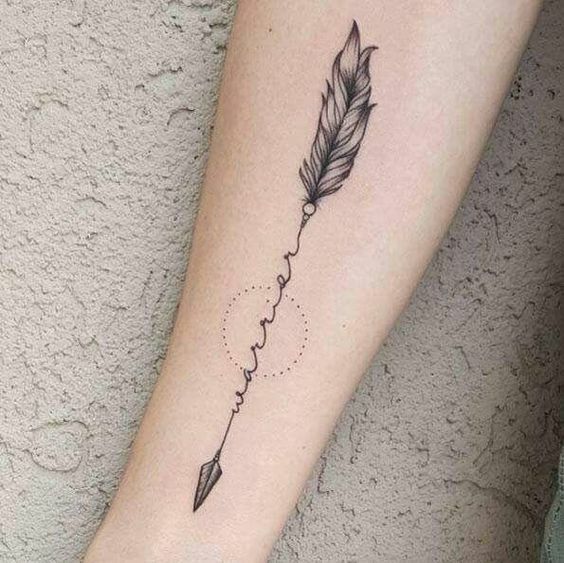 This strength arrow tattoo design is that perfect reminder for anyone ready to get ink on their skin. This tiny arrow tattoo is the for the shy tattoo virgin who wants something small but meaningful. 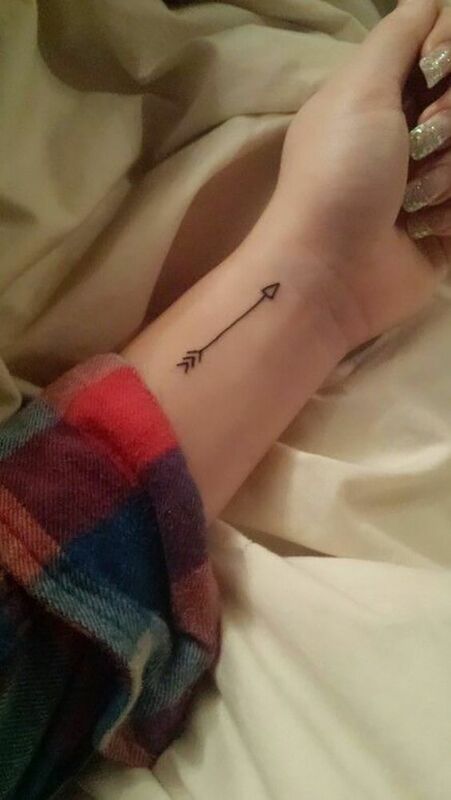 This simple arrow represents direction in life and working toward your life goals. This colorful arrow is for the tattoo-lover looking to add a little color to their skin. 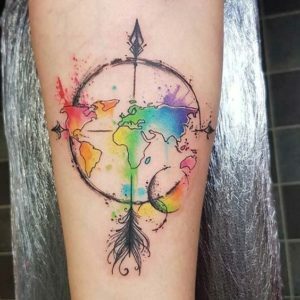 Its mix of colors adds that necessary pop to really get your tattoo noticed by everyone in the room. 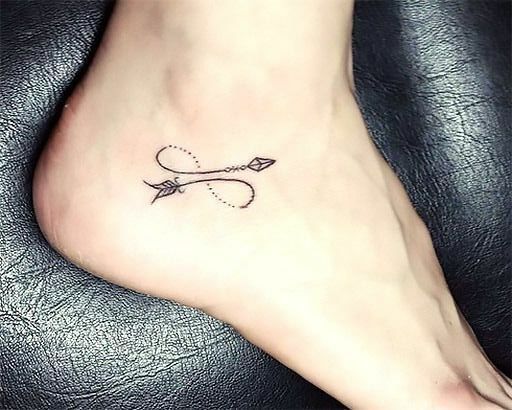 This zen Buddhist arrow tattoo will make you say ‘om’. Its simple, yet specific design will help you channel inner peace every time you set your eyes on it. 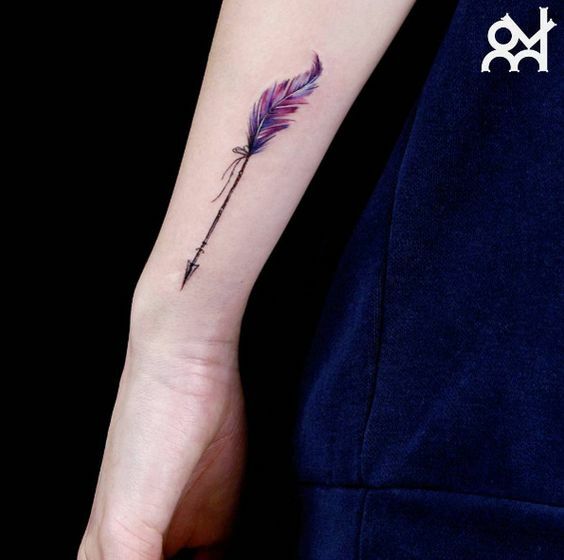 This feather quill arrow tattoo could be perfect for the writer whose writing guides them. The colors of the arrow quill are great too! 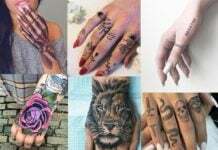 And, completely customizable! This four arrow and bow tattoo is a perfect reminder that we have choices in life. 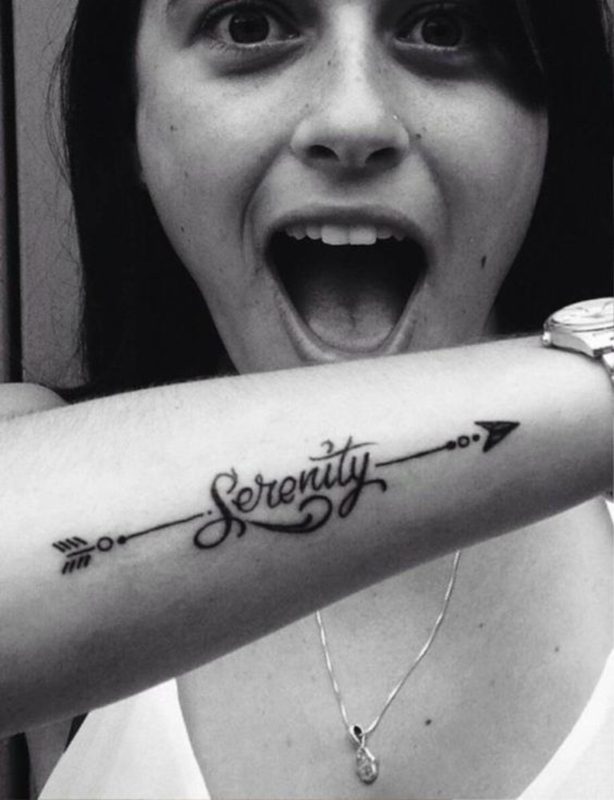 We are do not have to go in one direction, there are always options. So, be open-minded about your dreams and spread your wings. Arrow tattoos come in so many different styles. Whether you are looking for something cute and dainty or bold and tough, there is definitely something for you in this compilation of arrow tattoo designs. 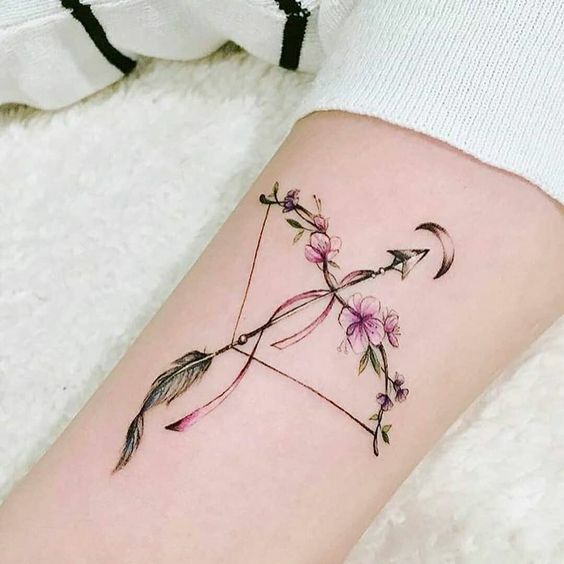 The arrow designs can be done in different colors, with different shapes incorporated, and with different directions, all which work together to create great unique meaning for the person inking it on their skin. 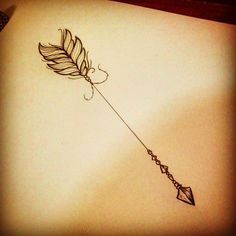 Arrows can represent a wide variety of things too! Like, seriously anything! 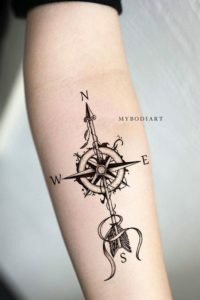 Most commonly, they represent the direction you are going. For example, if you are working toward a specific goal or dream. 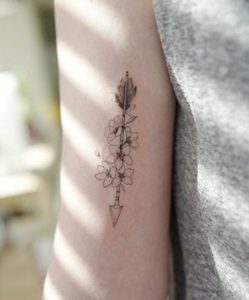 They can also represent your ability to guide yourself independently and with the strength to make it through anything. 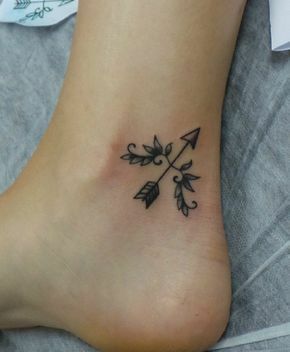 Arrows can also represent what exactly guides you in life. Maybe, you are a big follower of your religion and that is what dictates most of your choices. Or, maybe you choose to live for your family and loved ones because that is what is most important to you in life. 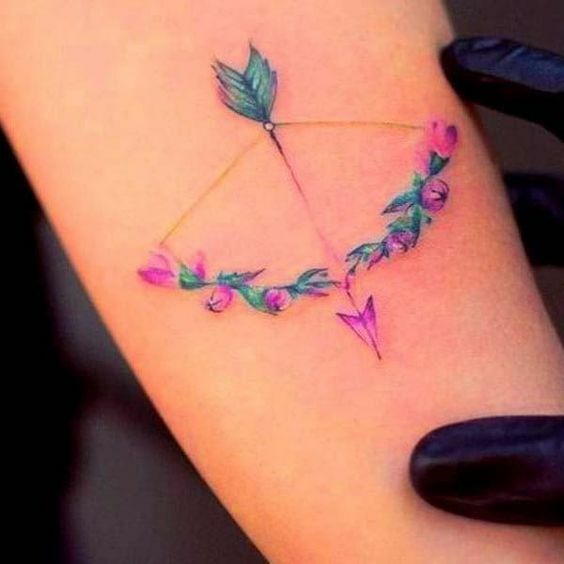 Arrows show what you follow and what you care about. 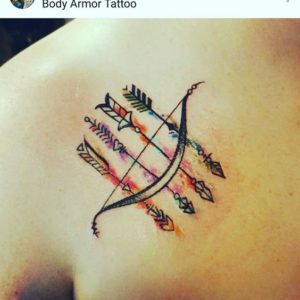 By picking a tattoo design with multiple arrows, it is a reminder that we have choices in life. 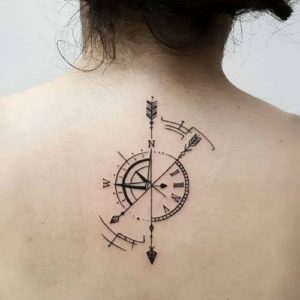 And, that it is ok to change directions because no matter what we will end up where we need to be in the end. It’s funny how arrows are about both fate and about choices, but that is what makes the arrow a universal tattoo design idea for anyone!